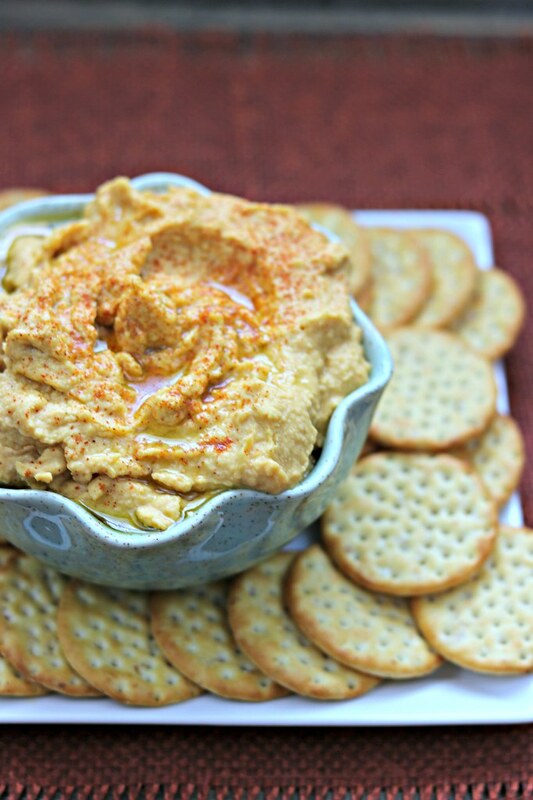 This pumpkin hummus has all the creamy hummus texture that you love, with the added bonus of pumpkin and fall flavors! 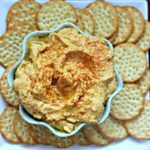 It is perfect with crackers, pita chips, or veggies! Hi, friends! Have you been checking out all the amazing pumpkin recipes the past two days? If not, hop to it!! Also, don’t forget to enter the giveaway, if you haven’t already! Now today, of all the days this week, I am the most excited about the recipe I’m sharing with you. Pumpkin. Hummus. I mean, hummus is just about one of the most amazing snacks there is, but to add pumpkin?? It’s like, next level amazing. But the pumpkin flavor is subtle. It’s like, hummus with the perfect touch of Autumn mixed in. I’m usually a spicy hummus loyalist, but this hummus was hard to stop eating, in a single sitting. 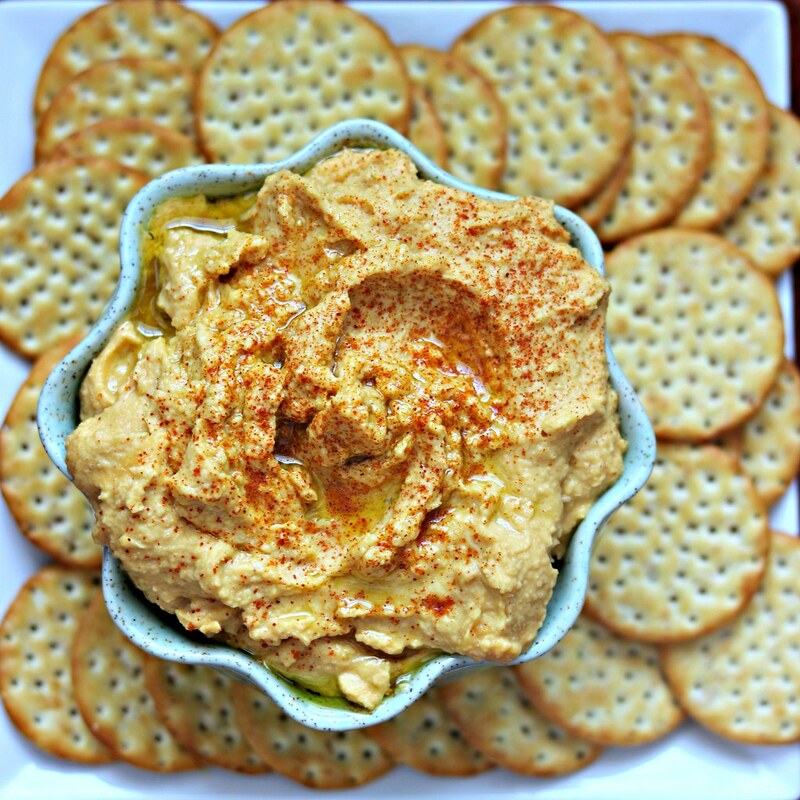 And not only is this hummus amazing, it is SO easy to make. 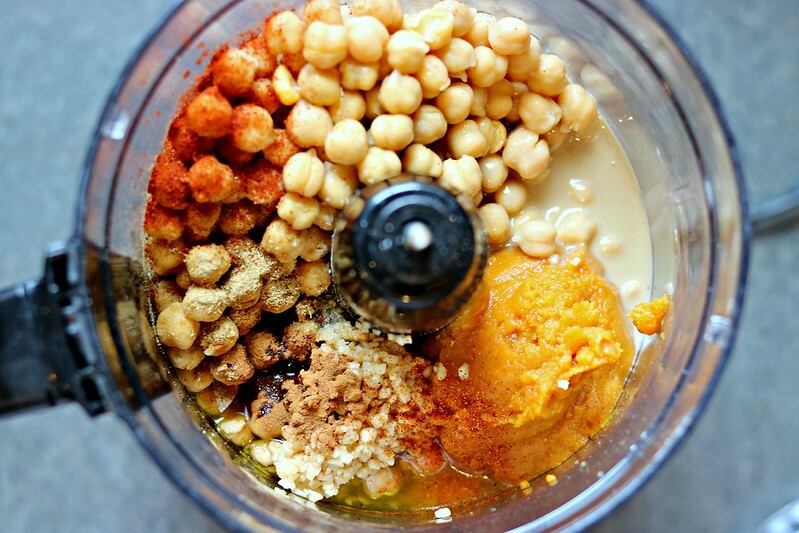 Easy in the way that you toss the ingredients into a food processor, push a button, and watch the magic unfold. Very minimal effort, for an amazingly delicious outcome!! It’s really that easy! Just 10 ingredients, it’s healthy, and it’s delicious. That, my friends is exactly what this girl likes. And, you will too!! Be sure to check out all the Pumpkin Week posts, as well as the giveaways from our awesome sponsors!! Your pumpkin cravings will not go unsatisfied, this week! Combine all ingredients in the bowl of a food processor and process on high until smooth, scraping down the sides, as necessary. Spoon into a bowl, drizzle the top with olive oil, and a sprinkle of smoked paprika, if desired. 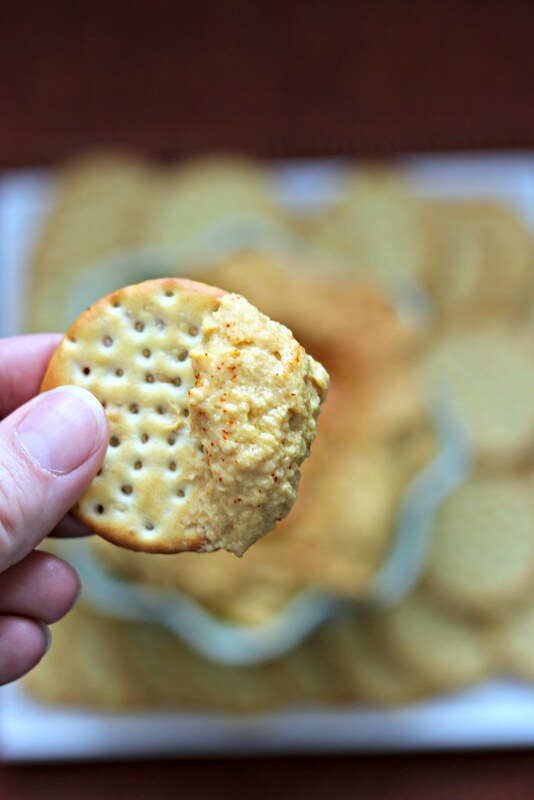 Serve with crackers, pita chips, or veggies! This is perfect for a Fall tapas party. This is happening- I have all the ingredients on hand!! Yum!